Celebrating St. Paddy's in Firstieland! Top o the morning to everyone! I'm sitting here looking out my window at the sun shining and excited that spring is just around the corner!! And you know what that means....St. Patrick's Day! ☘ I spent Friday getting my classroom ready for my little leprechauns on Monday morning. They will be excited to see some new centers waiting for them. Do you use centers in your classroom? I love them! In fact I wrote a whole blog post about how to get them started in your classroom here. 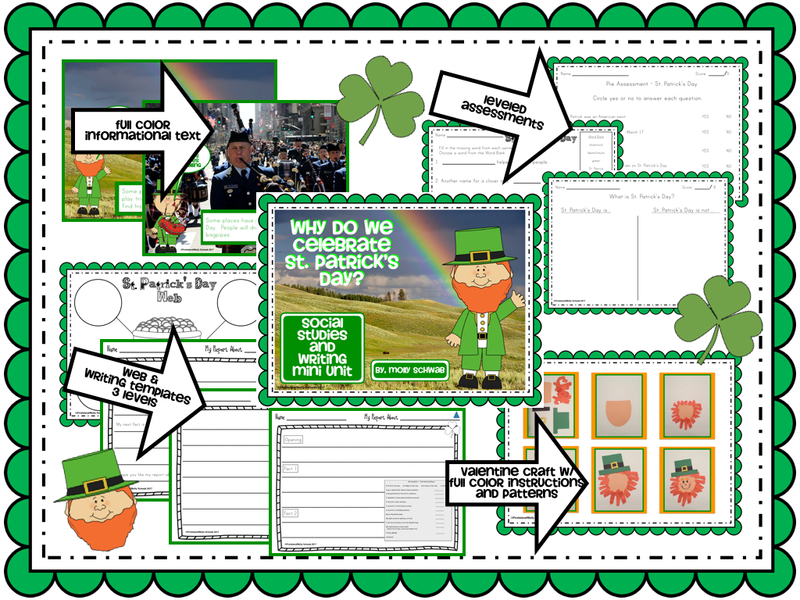 This month, my centers have a St. Patrick's day theme so I thought I'd share with you some of the things we will be working on. One of the things I love to do is wander the aisle of our local Dollar Tree to find cute holiday items that I can turn into educational materials for my firsties. Just adding some simple little extras can really excite your kiddos. In our Math Center this week we will be working on missing addends. I found these adorable shamrock spinners and tall cups and I knew I could so SOMETHING fun with them! The kids spin the first spinner and write their number in the first shamrock on their "Who Stole The Addends?" work sheet. Then then spin the second and write that in the answer space on their paper......then they have to find the missing addend. Too cute!! In our Word Work Center this week the kids are working on matching words to to contractions. 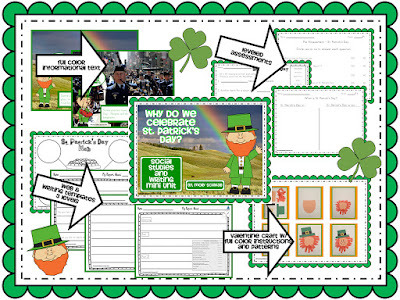 The theme is cute with the gold coins and matching pots of gold ......and simply adding some cute shamrock plates and a table top pocket chart gives it a little more fun for the kiddos. This week in Spelling we are working on bossy "r" words. I wrote our words on rainbows, added some skinny markers and magnetic letters. My fab firsties will practice their words on the Rainbow Spelling work sheet with different colored markers and build their words on the cloud. 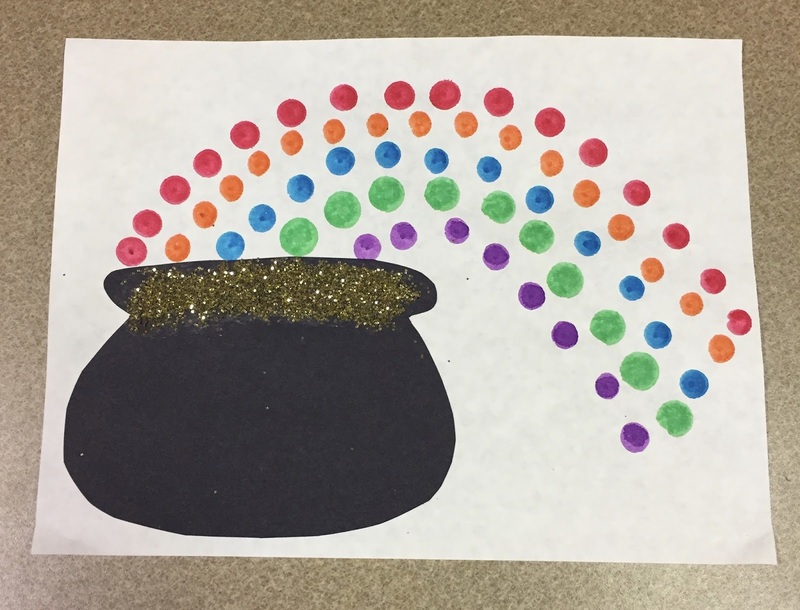 Finally, at our Art Station the firsties will be making a pot of gold at the end of the rainbow. 🌈 This is a super simple craft that they can do independently. That's so important because I will be busy in guided reading groups while they are at centers. Simply cut out the pot and glue to paper. Use bingo daubers to create a rainbow and add glitter for the gold.......what firstie doesn't LOVE glitter and daubers??? So adorable and so easy!! 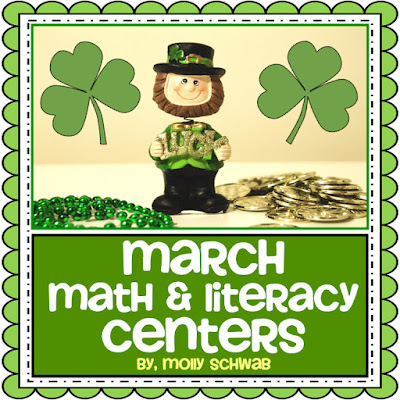 If you'd like to try some of these centers in your classroom you can pick up all of these and more in my March Math and Literacy Centers here. This set includes 10 different activities for Math, Spelling, Word Work, Art and Writing. Check out the full preview of all the centers here. Team Teachinng ~ How it Works for Us! How to be an Organized Teacher! Pinching Not Allowed In My Classroom! Are Your Students Good Digital Citizens? Springtime Goodies Galore Linky Party!